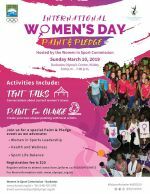 The Barbados Olympic Association Inc and the Women in Sport Commission - Barbados will be hosting a special Paint & Pledge event to celebrate International Women's Day 2019. This year's Women's Day theme, #BalanceForBetter, celebrates the movements that have changed the game in gender equality and identify challenges that females in the sports industry still face on a daily basis. The focus of the event will be to discuss challenges still facing girls and women in sport, and how sport can not only empower females but also help produce tangible results when it comes to gender equality and greater inclusion and diversity. Create your own unique paintings with local artists. 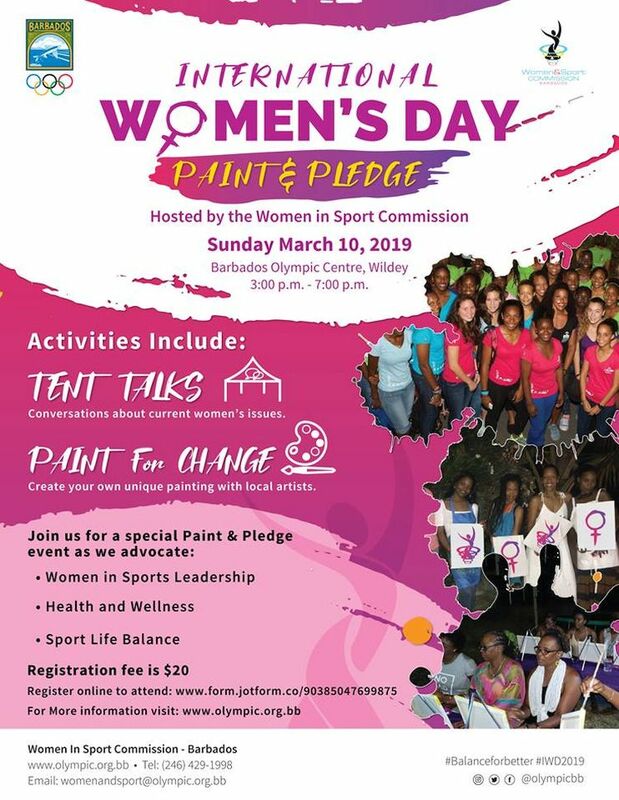 Janelle Chase-Mayers will be presenting along with artist Shanika Grimes on the themes: Work, Sport, Life and Balance. Register online at https://form.jotform.co/90385047699875 to attend. Registration fee deadline is Fri 8th Mar, 2019.